The electric bicycle history began somewhere around 120 years ago. It went through a couple of downs and ups periods and had a lot of technological improvements over the years. 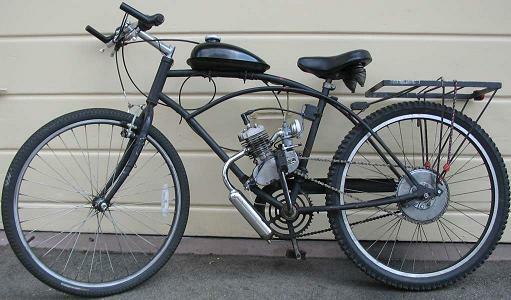 In 1867 and 1886, even before the first appearance of the electric bicycle, two inventors invented a motorized bicycle that used steam engine and internal combustion engine. Such bicycles got less and less popular over the years and today we can hardly see them. 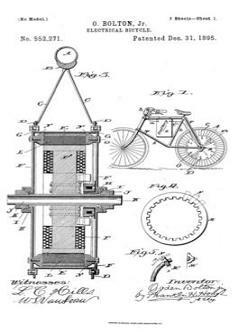 One of the first patent for electric bicycle was issued at the end of 1895 by Ogden Bolton Jr. He introduced an improvement for the electric bicycle but he didn't mention any earlier invention so we know that he is not the first one but I didn't find any patent related to electric bicycle that issued before. Mr Bolton wrote that his invention includes: "6-pole brush-and-commutator direct current (DC) hub motor mounted in the rear wheel.”; Here is a link to the original patent: 552271. This is amazing that the hub motor was invented 120 years ago. Over the years it has almost forgotten but it came back big time in the last decade. Today, it is vastly used in the electric bicycle industry and it is one of the best way to propel the electric bicycle. It is hard to see but in this picture the motors used crank rods to rotate the wheels. After a short while, Mr. Horesa changed this big clumsy rods to a more efficient chain drive. You can see the full patent here: 596272. In 1898 Mathew J. Steffens issued a patent of an electric bicycle that are operated by a belt that is placed on the periphery of the back wheel and also around the motor. After all this belt drive systems came an idea for a friction drive. In 1899, John Schnepf introduced a bicycle which used a pulley that rest on the top surface of the rear wheel. 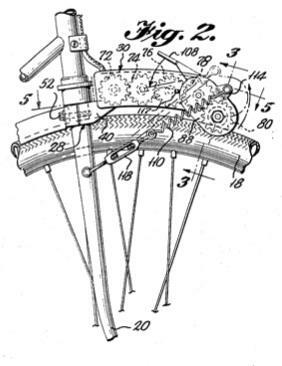 Many more patents were issued with improvements for the friction and belt drives. I am not familiar with all this inventions but I will keep updating this page in the future in order to create a complete storyline of the electric bicycle history. Today, electric bicycle is quite a big industry and it's growing very fast. There are roughly 120 million e-bikes on the roads of china. And in the USA and Europe, the number of electric bicycles sold are in the millions now. Invention such as torque sensors, power controls, new batteries and better hub motors have allowed the industry to come to where it is today. 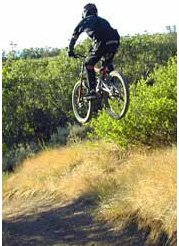 Just a decade ago, draining power energy was a big issue and the prices of the e-bikes was sky rocketing. Advanced technology made miracles and today there are dozens of companies manufacturing electric bicycle. All of it couldn't been happen without all this 120 years of electric bicycle history. I am sure that a very sweet future is waiting for the electric bicycle.